Ohio makes the “shelter pet” the official state animal; spending on animal companions tops $70 Billion with more people choosing adoption over buying; Petaluma, CA, places 99% of dogs; Henderson, NV, falsely claims to have achieved No Kill; New York City fudges its data to create the illusion of progress; and anti-No Kill zealots are trying to further harm animals in Pueblo, CO. Meanwhile, the Austin City Council unanimously embraces a 95% standard for its municipal shelter and a new study calls for a moratorium on the use of temperament testing to determine if dogs live or die in shelters. Ohio designated the “shelter pet” as the official state animal in order to raise awareness of shelter animals and promote adoption. On behalf of the No Kill Advocacy Center, I wrote the Governor and legislative leadership to thank them for doing so. I also asked them to put teeth behind that designation in order to end their killing by passing comprehensive shelter reform legislation. As spending on animal companions tops $70 billion, Americans are buying fewer animals and adopting more, a trend that is likely to continue as California, Maryland, and over 400 cities have banned the retail sale of commercially-bred animals in pet stores, with many more (including New York) trying to do so. Petaluma, CA, is a member of the 90% Club, an important milestone on the road to No Kill. For dogs, it is also a member of the most exclusive club in the No Kill movement: municipal shelters placing 99% of the animals or better. The City shelter reported a 99% placement rate for dogs and 92% for cats. Henderson NV says it achieved No Kill. As much as I wish it was, it isn’t true. It is still killing community cats, does not do TNR, and does not foster animals. Instead, it defines these animals away using a misleading formula peddled by Best Friends. Meanwhile, the Austin, TX, City Council voted unanimously on a resolution to abandon the 90% standard in favor of a 95% minimum. While I would have liked to see a higher threshold — consistent with the success of the most progressive communities in the country including Austin itself, which achieved a 98% placement rate in 2018 making it the safest large city in the U.S. to be a homeless dog or cat — I am elated that the dam is starting to break on the now decades old, outdated 90% guideline. It is time for the rest of the country, and the rest of the animal protection movement, to catch up. And finally, it’s time to throw out the fake hand, the doll, the food bowl takeaway, and the loud knock on the door. The debate as to whether temperament testing in a shelter is effective, flawed, needs modification, or should be discarded is over. 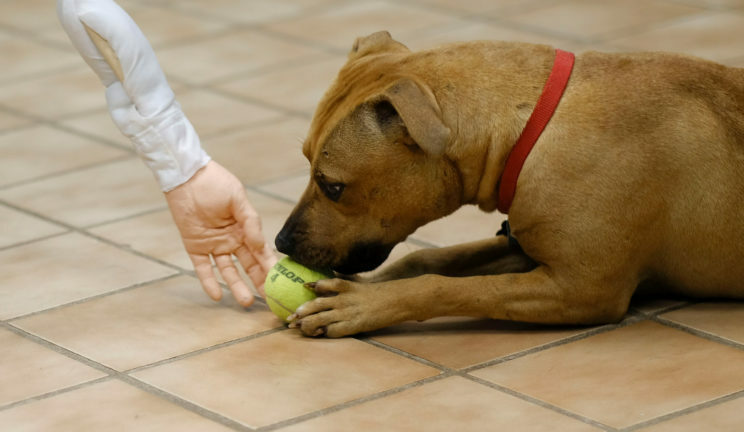 A new study finds that there is not a single temperament test used to evaluate shelter dogs that is reliable in predicting behavior. The study authors are calling for a moratorium on their use by pounds to determine whether dogs live or die.